Church & 2 Office/Commercial Blds. 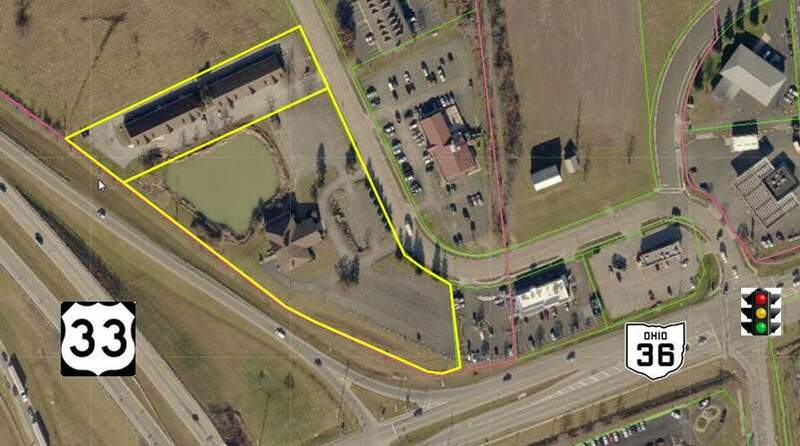 11,000 S/F Church on 3.605 Acres plus 2 Office Building @ 5,800 S/F each on 1.359 Acres. (Total of 4.96 Acres) Redevelop the entire 4.96 Acre Site or seller will consider sub-divide proposals (Minimum 1 Acre). Ideal for Auto Dealer, Hotel, Retail or your project. Over 900 feet of frontage on Rt. 33 at the Rt. 36 Interchange. Zoned TOC (Traffic Oriented Commercial). Approximately 185 off street parking spaces as currently configured. ASKING PRICES: $2,050,000 for 22,600 S/F on 4.96 Acres. Church Availability - Church & 2 Office/Commercial Blds.